Hello and welcome to my Kumho Ecsta LX Platinum review. By now, Kumho has a competitor in almost every tire category, even in the ultra-high-performance sector. Their Ecsta line of tires contain the highest quality products they have, and one of the most successful is certainly the LX Platinum. 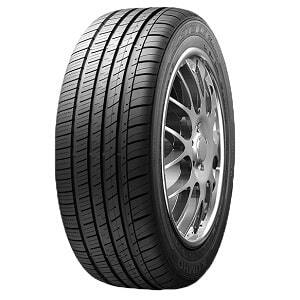 This is a grand-touring all-season tire with sporty ambitions and lower price than Platinum competitors aimed at owners of Platinum sedans in the midsize and executive segments, such as BMW 3 Series and 5 Series, Mercedes C Class and E Class, and Lexus IS and Lexus ES or GS. This certainly sounds tempting for buyers – who wouldn’t want a tire that will be comfortable and quiet, as well as having great handling characteristics and excellent traction in dry and wet weather. Of course, this doesn’t mean that the tire will perform as good as the company says, but we live in a time where everything is seemingly possible. I am no stranger to Kumho tires – I tested several of them by now. Almost all of their models have fine performance and are comparable to other tires in the budget category, and often better, but they still can’t touch the likes of Bridgestone, Michelin, and Continental. Will the Ecsta LX Platinum change that? Let’s find out. I’ve already discussed this several times by now, but it is still very interesting to me – Kumho is the most self-confident tire maker out there. Just read the descriptions they write for their tires and you’ll know what I’m talking about. Or why not show you? On their website, they say that the Ecsta LX Platinum is for the drivers who utilize their luxury cars 365 days a year and that it not only performs, but it liberates the full potential of their vehicles. They also say that the tire provides extremely low noise and outstanding ride comfort. It certainly sounds like the perfect tire to me, doesn’t it? All of those traits are achieved by several design decisions. 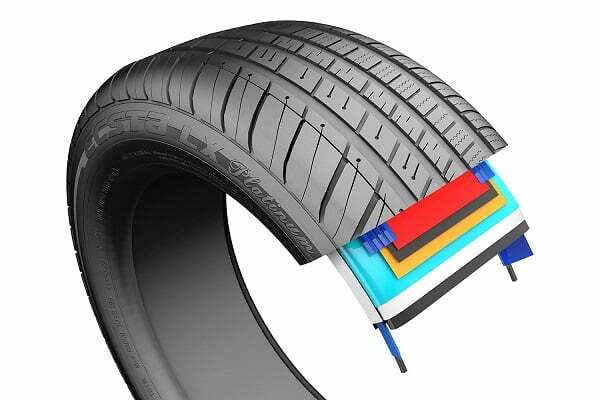 The asymmetric tread design optimizes all-season performance, while the four circumferential channels are there for efficient evacuation of water and less hydroplaning. Then, the waffle design sipes remain fully interlocked for better braking performance, and there are even stress relief dimples that provide maximum sipe opening for better snow traction. The sophisticated sidewall design achieves both comfort and better stability, while the jointless nylon cap construction provides lower vibrations, which in turn makes the ride more comfortable. From what I can understand, Kumho made a grand-touring tire with high-performance abilities that can work in every type of weather. Let’s see if the Ecsta LX Platinum can really do that. Being primarily a grand-touring tire, the Ecsta LX Platinum must perform great in this category. And despite the lower price, I am happy to say that it really does. It may not be the longest-lasting tire of them all, but it’s up there with the best Platinum tires. There will be a lot of tread depth even after years of using the Ecsta LX Platinum, and the tire will not lose its shape. If durability is your only concern, buying and owning these tires will be very cost-effective. Kumho’s claims about high-performance handling seem far-fetched, but in another surprise performance from the Ecsta LX Platinum, they show that sometimes it is possible to make a tire that’s both durable and good to drive. Okay, you shouldn’t expect performance at the level of a real high-performance tire, but the LX Platinum still provides very good traction in dry conditions. It is also very capable on the highway – one of the most stable tires at higher speeds in the grand-touring category, and braking performance is top-notch. Highly recommended if your driving takes place on the highway, or at higher speeds. Another great showing from the Ecsta LX Platinum here. Wet traction is excellent and the tire resists hydroplaning very well – almost on the level of the best Platinum grand-touring tires. And it does that in both light and heavy rain, making driving safer and more enjoyable. It is even good when compared to Platinum tires in this category, even though Continental and Michelin still beat it by a significant margin. For the casual driver of executive vehicles though, I think the difference is negligible. The Ecsta LX Platinum may be great in both dry and wet conditions, but it falls down in the snow. It does provide some traction in light snow, but it is far from the best all-season tires when it comes to winter driving. It is also not very good in very cold weather – the rubber becomes pretty hard and you shouldn’t expect much traction or grip. Braking distances are also longer than anticipated. It’s clear then that you shouldn’t use this tire in the winter at all – it is simply not good enough. The Kumho Ecsta LX Platinum is a grand-touring tire first and foremost, so one must assume that it should be comfortable and quiet. And indeed, it is. I wouldn’t go as far as to say that it’s the most comfortable tire in its class, but the difference can only be measured by instruments and not people. For most drivers and passengers, the Kumho provides excellent comfort over any road surface, and a low amount of noise, even at higher speeds. This is especially important for owners of executive cars, who bought that kind of vehicle primarily because it’s smooth riding, comfortable and quiet. I am not a person that’s easily impressed, but the Kumho Ecsta LX Platinum has really done that to me. 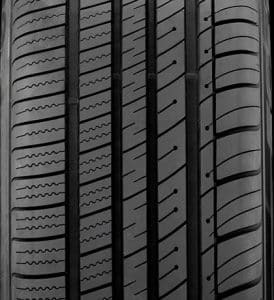 It is much cheaper than Platinum tires, especially considering the price of four tires, but more importantly, it is extremely close in almost every category. Trust me, you won’t be able to tell the difference – the Ecsta will provide you with a comfortable, quiet and safe driving experience in both dry and wet conditions. It only lacks the perfect moniker because of the below-par snow performance. Otherwise, it is a really good buy. Thanks for reading and I hope you found this Kumho Ecsta LX Platinum review helpful. If you have any questions or comments please feel free to leave them in the comments section below.